Oil obtained from the liver of the codfish contains large amounts of Vitamin A, D and omega-3 fatty acids. It is used as a dietary supplement and can be found at most major pharmacies in the vitamin/supplement section. Cod liver oil helps to improve certain diseases of the skin, rashes or lesions. It can also help to improve dry skin and improve the look of skin. Dry skin is a common problem for millions of people. It causes itching, redness and even burning form irritated skin. According to OrganicFacts.net, cod liver oil is beneficial in the treatment of dry skin. Cod liver oil helps to moisturize and soften dry skin. If taken orally, cod liver oil can reduce levels of leukotriene B4, which is a substance that has been linked to severe dry skin. As a result, cod liver oil can help your dry skin appear shiny and healthy again. Taking the supplement as directed on the back of the bottle or by your physician may provide you with the relief you are seeking. Psoriasis is a skin condition that affects the life cycle of skin cells. As a result, skin cells build up rapidly and form thick crusty patches. These patches can be unsightly and can be itchy and irritating to the sufferer. According to OrganicFacts.net, psoriasis can be helped by taking cod liver oil. It is believed by the medical community that EPA (eicosapentaenoic acid), which is an omega-3 fatty acid present in fish oil, restricts the growth of inflammatory-inducing agents that can cause psoriasis. Applying fish oil topically can help to relieve this skin condition. Dermatitis is a skin condition that is marked by inflammation of the skin. It can include different types such as sebhorrheic dermatitis and atopic dermatitis or eczema. It causes red swollen and itchy skin to develop. Dermatitis can be controlled and treated by using omega-3 fatty acids such as cod liver oil. Cod liver oil contains anti-inflammatory properties that can improve skin rashes such as dermatitis. 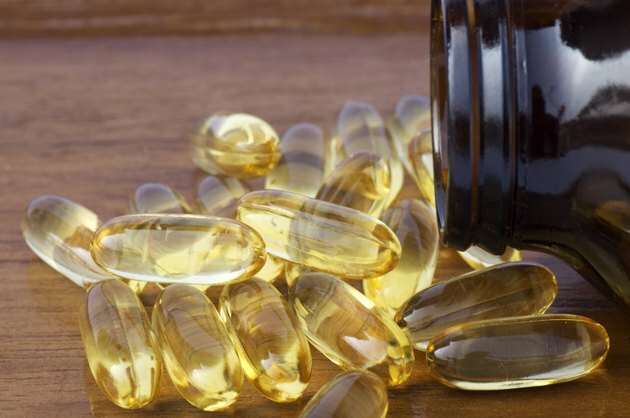 Applying cod liver oil directly to the rash or simply taking a supplement as directed by your physician or dermatologist may help to improve this irritating skin condition.